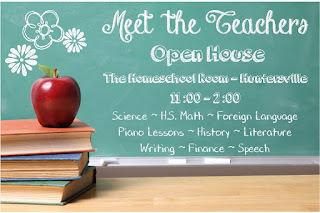 Today is the day to go to meet the Teachers! 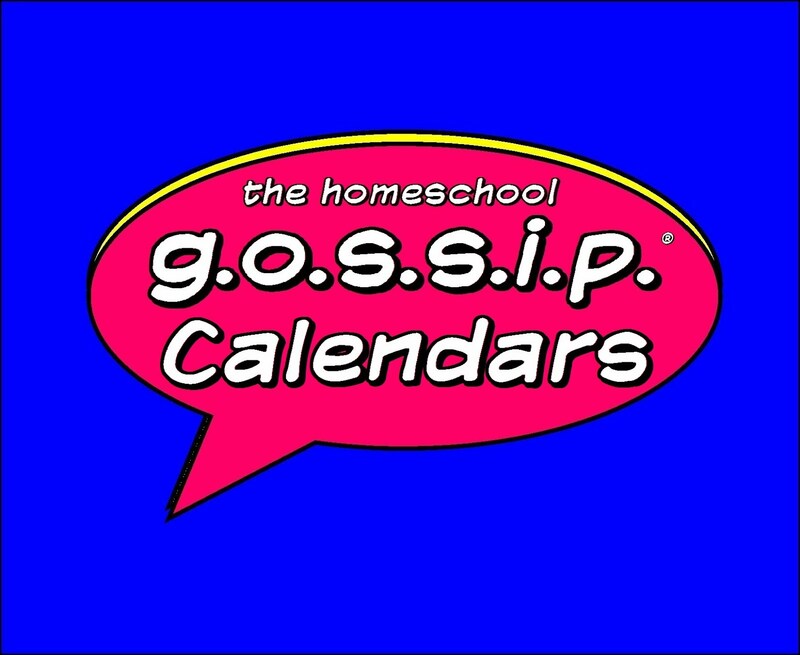 Stop by at The Homeschool Room anytime between 11:00 - 2:00 PM. They have some great classes lined up for the Fall! 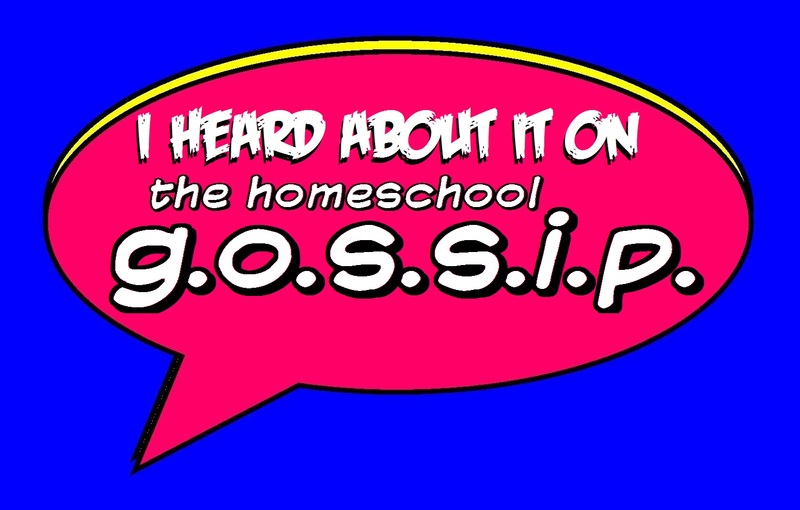 Science ~ High School Math ~ Foreign Language ~ Piano Lessons ~ History ~ Literature ~ Writing ~ Speech! Their teachers will be available to answer any questions and register your student(s) for their Fall classes! 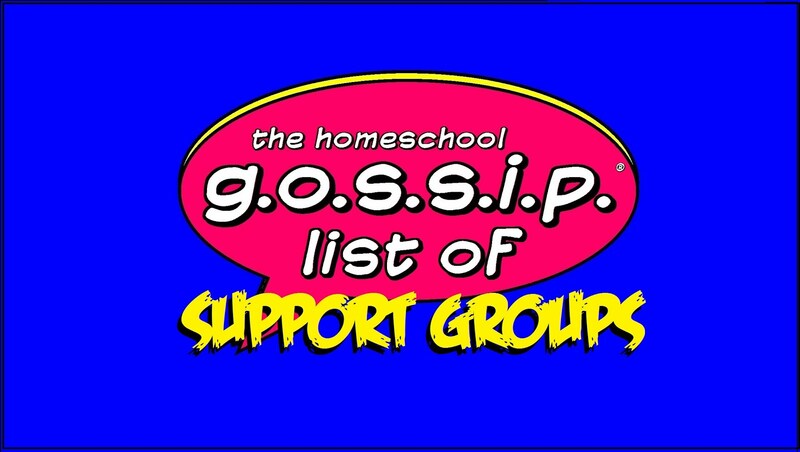 Some of the classes are beginning to fill up! 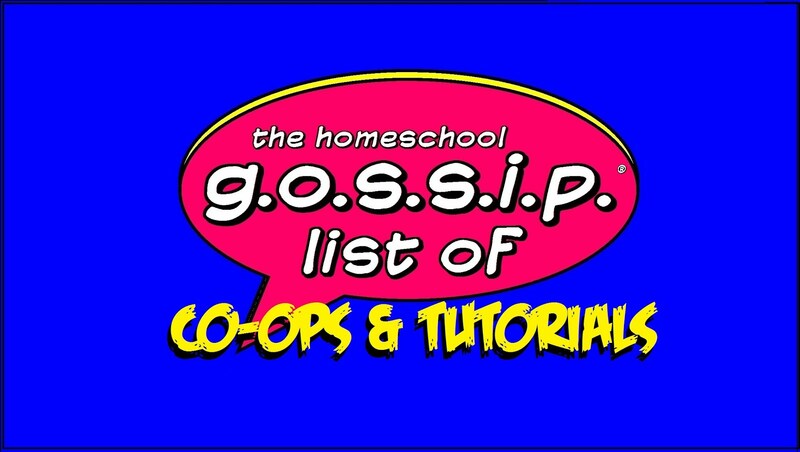 You don't need to wait until the Meet & Greet to register, just follow this link to their class list :https://www.facebook.com/notes/the-homeschool-room-huntersville/-2016-fall-enrichment-schedule-the-homeschool-room-huntersville/1714727982119273 there are links in the class descriptions to register your student(s) for classes or to request more information. 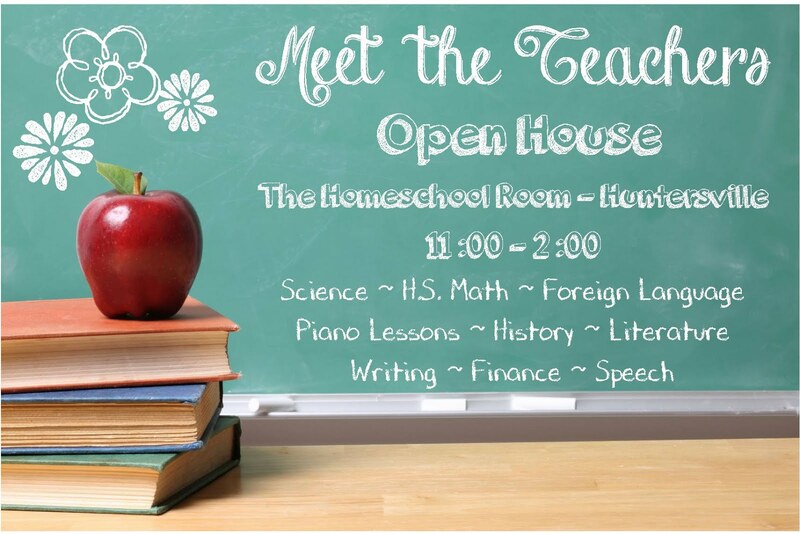 Here is the link to their Teacher Meet & Greet Open House:https://www.facebook.com/events/1591407064503314/ .